Swedish journalist and writer “Stieg” Larsson; was born 15 August 1954. He is best known for writing the “Millennium series” of crime novels, which were published posthumously. Larsson lived and worked much of his life in Stockholm, in the field of journalism and as an independent researcher of right-wing extremism. He was the second best-selling author in the world for 2008, behind Khaled Hosseini. By December 2011, his “Millennium series” had sold 65 million copies; its last part, The Girl Who Kicked the Hornets’ Nest, became the most sold book in the United States in 2010. Larsson’s first efforts at fiction writing were not in the genre of crime, but rather science fiction. An avid science fiction reader from an early age, he became active in Swedish science fiction fandom around 1971, co-edited with Rune Forsgren his first fanzine, Sfären, in 1972, and attended his first science fiction convention, SF•72, in Stockholm. Through the 1970s, Larsson published around 30 additional fanzine issues; after his move to Stockholm in 1977 he became active in the Scandinavian SF Society where he was a board member in 1978 and 1979, and chairman in 1980. In his first fanzines, 1972–1974, he published a handful of early short stories while submitting others to other semi-professional or amateur magazines. SwedenHe was co-editor or editor of several science fiction fanzines, including Sfären and FIJAGH! ; in 1978–1979 he was president of the largest Swedish science fiction fan club, Skandinavisk Förening för Science Fiction (SFSF). An account of this period in Larsson’s life, along with detailed information on his fanzine writing and short stories, is included in the biographical essays written by Larsson’s friend John-Henri Holmberg in The Tattooed Girl, by Holmberg with Dan Burstein and Arne De Keijzer, 2011. Soon after Larsson’s death, the manuscripts of three completed, but unpublished, novels – written as a series – were discovered. He had written them for his own pleasure after returning home from his job in the evening, and had made no attempt to get them published until shortly before his death. The first was published in Sweden in 2005 as Swedish: Män som hatar kvinnor – literally – Men who hate women. 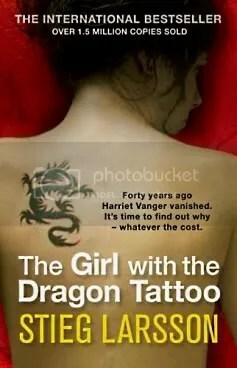 It was titled for the English-language market as The Girl with the Dragon Tattoo, and published in the United Kingdom in February 2008. It was awarded the Glass Key award as the best Nordic crime novel in 2005. His second novel, Flickan som lekte med elden (The Girl Who Played with Fire), received the Best Swedish Crime Novel Award in 2006, and was published in the United Kingdom in January 2009. 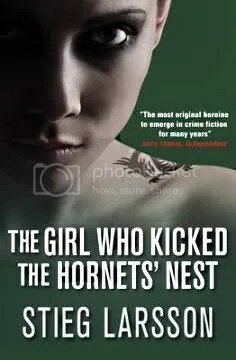 The third novel in the Millennium series, Luftslottet som sprängdes (“The air castle that was blown up”), published in English as The Girl Who Kicked the Hornets’ Nest, was published in the United Kingdom in October 2009, and the United States in May 2010. Larsson left about three quarters of a fourth novel on a notebook computer, now possessed by his partner, Eva Gabrielsson: synopses or manuscripts of the fifth and sixth in the series, which he intended to contain an eventual total of ten books, may also exist. 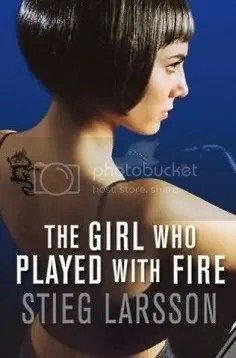 Gabrielsson has stated in her book, “There Are Things I Want You to Know” About Stieg Larsson and Me (2011) that finishing the book is a task that she is capable of doing.The Swedish film production company Yellow Bird has produced film versions of the Millennium series, co-produced with the Danish film production company Nordisk Film, which were released in Scandinavia in 2009. Larsson Sadly passed away on 9 November 2004 in Stockholm at the age of 50 of a heart attack after climbing seven flights of stairs to his office because the lift was not working. There were rumours that his death was in some way induced, because of death threats received as editor of Expo, but these have been denied by Eva Gedin, his Swedish publisher. Stieg Larsson is interred at the Högalid church cemetery in the district of Södermalm in Stockholm. English author and poet Edith Nesbit was born 15th August 1858She wrote or collaborated on over 60 books of fiction for children, several of which have been adapted for film and television. She was also a political activist and co-founded the Fabian Society, a precursor to the modern Labour Party. Among Nesbit’s best-known books are The Story of the Treasure Seekers (1898) The Railway Children and The Wouldbegoods (1899), which both recount stories about the Bastables, a middle class family that has fallen on relatively hard times. The Railway Children is also extremely well known. Her children’s writing also included numerous plays and collections of verse.